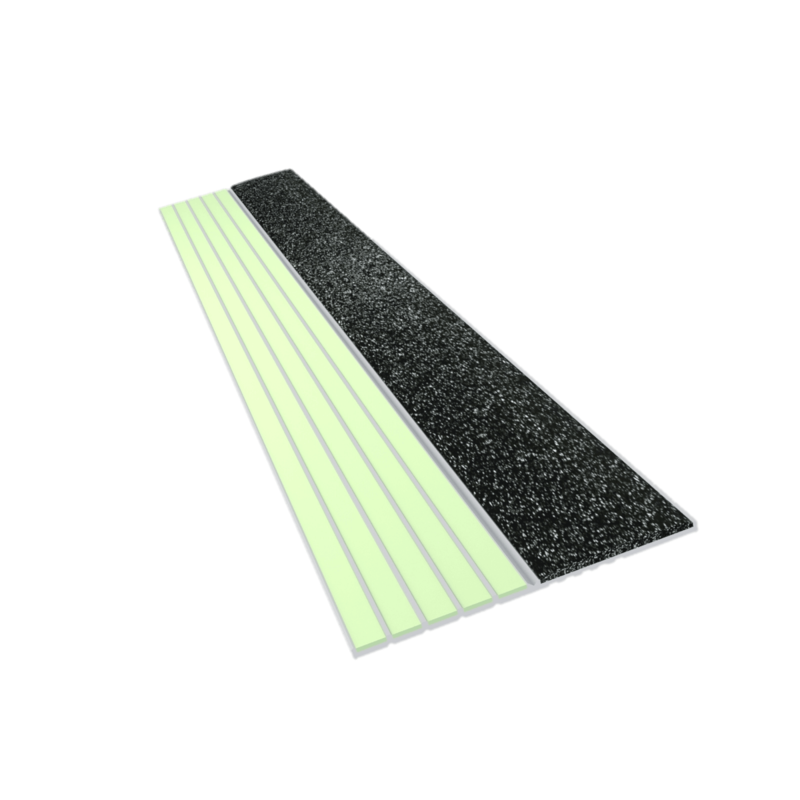 At 2 inches (51mm) wide and with 1 inch (26mm) of photoluminescent strip, the E40 Series strip is designed to meet new ICC regulations for new buildings over 7 storey’s high. 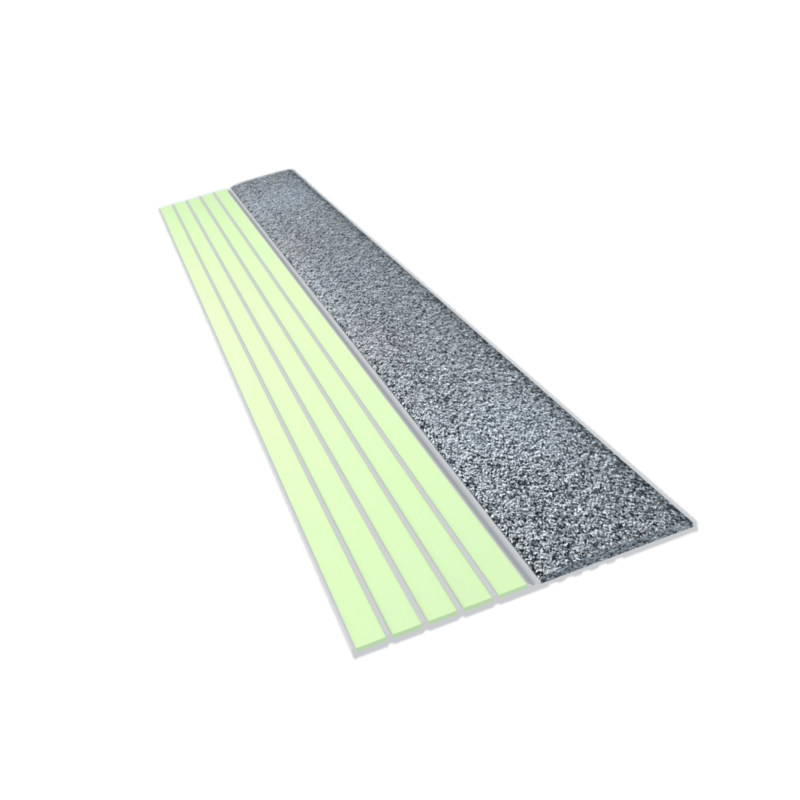 An added advantage is that being 2 inches (51mm) wide, and with the ability to change the colour of the anti-slip strip, the E40 Series also meets the requirements of the ADA regarding step edge visual contrast, The E40 Series is designed to be visible for several hours after the lights go out, having been charged from overhead lighting. E40 step edge is certified to ULC572 and meets AODA requirements for non-slip step edge colour contrast. Working just as well in the light as it does in the dark, the E40 Series is designed to reduce falls and enhance egress speed in all egress situations. 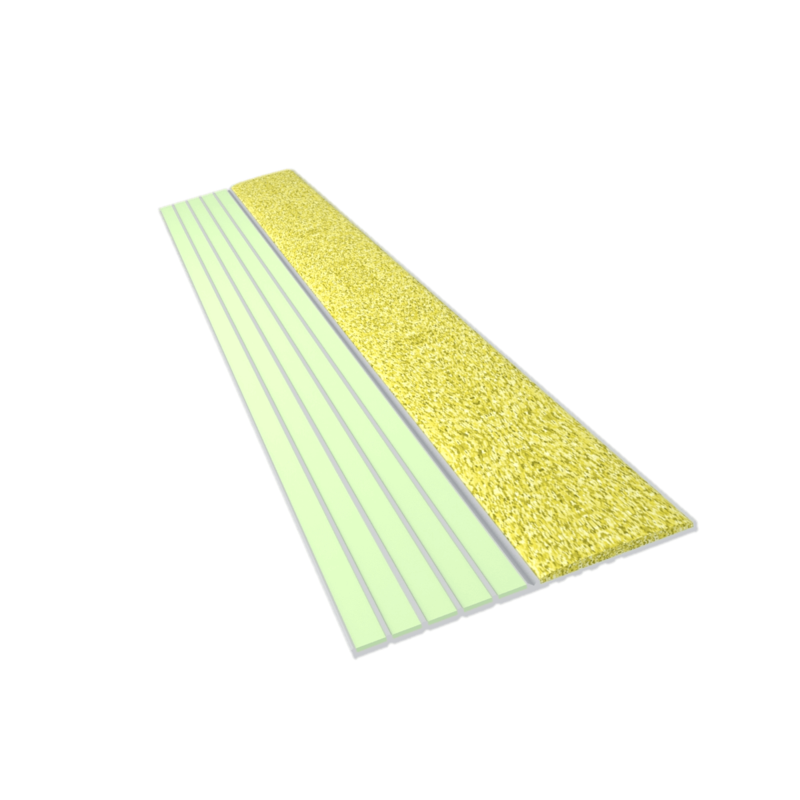 It also provides an extra non slip surface supplementing the steps own non slip properties. The E40 Series is the high performance product to include in any cost effective solution.